Yeah!!! 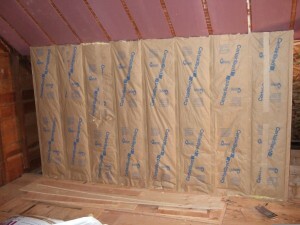 Let the insulating continue!! I’ll have a drink to celebrate for you! Yes, but it’s a start in the right direction, and once he’s done, you’ll be much warmer. And think how much lower those energy bills are going to be!